A huge thank you to Ecocentric Mom for their contribution to this review! This post contains affiliate links. Thank you for supporting Memoirs Of A Good Thing! 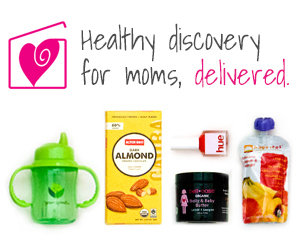 The June pregnancy subscription box from Ecocentric Mom came with lots of fun products! Here's an overview of the box and the cool products it came with! 58 ml/ 1.9 fl. oz. I actually really like this facial moisturizer. It is most definitely moisturizing but it doesn't leave my skin feeling oily or slick in anyway, which I love! Another plus is that, so far, it hasn't caused any breakouts whatsoever. It has a very (ever so faint) rose smell that disappears almost immediately. It also came in a nice sized bottle, which is nice because you don't have to use a large amount to get adequate coverage. The only negative I foresee is that I'm not so in love with the price. As much as I enjoy the product itself, I just can't stomach the $54 price tag. Call me cheap if you will but it seems just a tad steep to me. I may have done as much as $25 but that's just me. Let me clarify, I'm not necessarily saying it's not worth $54...I'm just saying that, personally, I don't usually spend that much on beauty products. But I'll see how long it lasts, maybe I'll decide in the end that it is in fact worth it! I was pretty excited to find this little gem in this month's box! I frequently use highlighters/luminizers in my makeup routine so I knew that this would be right up my alley. I have to say it works really well in comparison to other "commercial" highlighters I have used. It gives a nice subtle, natural looking glow and has definitely made it into my regular rotation. I don't really have anything negative to say about it. Overall, I've been loving it so far! So I haven't actually used this bad boy yet but I was intrigued the moment I opened the box. I've never been one to use stain removers (mostly because I forget they exist) but I am really curious to see how this works. With 4 kids, stains are a plenty in our home...if I could just manage to remember I have this =/ I really need to give it a try! I'll let you know how it goes! These were not bad for a prenatal. The gummies were actually good and the softgel was small enough that it was easy to swallow. I didn't experience any nausea after taking them, which I often times do, especially with sofgels. The only downside I see is having to take 4 supplements as opposed to 1. I have a hard time just remembering to take my one-a-day, so I don't imagine I'd have much success with 4. I'm actually considering taking these though. Like I said, I like the taste of the gummies (hard to find in a supplement) and the softgel is easy to take. Plus, it doesn't have the horrible aftertaste that a lot of supplements have. Yuck! Honestly. my hopes weren't to high for this product. But I actually really like them! They have a nice flavorful taste (i.e. they don't taste like cardboard! Yay!) I was pleasantly surprised by how much I enjoyed them. I guess I just have horrible experiences when it come to "healthy snacks". I come from a long line of food lovers so maybe I'm just a flavor snob but I tend to be really picky when it comes to healthy foods. So, when I found myself snacking on these willingly, I knew they were a win. These would make great snack packs for the kiddos as well! 6. 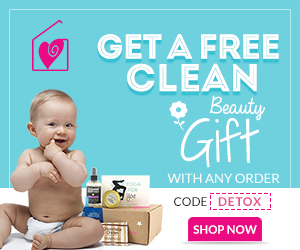 Gentle Feminine Cleanser by Healthy HooHoo - 0.17 fl. oz. (Included) Retails $13.74 for 4 oz. Tested on Gal Pals, Not Animals! First I'd like to take a moment to acknowledge and appreciate the commercial genius of this companies name...Healthy HooHoo...nothing like straight and to the point! Now that that's been said...This is another product I've yet to try out. I'm super duper careful about what I wash with down there. I have extremely sensitive skin to begin with and certain areas are even more so. So, I guess you could say I've been hesitant to try this out. Even though it's supposed to be gentle, I have somewhat of a mental block that's been keeping me from giving it a shot. I'm sure I'll use it eventually but, for the time being, I'll stick with what I know works. 7. All Purpose Skin Cream by Egyptian Magic - 3 ml. (2 Samples Included) Retails $39 for 4 0z. Overall, I was really pleased with the products that came in this month's pregnancy subscription box from Ecocentric Mom. My favorite product would have to be the Opal Glow Luminizer by Orglamix followed closely by the Moisturizing Facial Lotion by Lyeska. I've been using these 2 products almost on a daily basis and I love them! If you enjoyed this review or are curious about previous boxes, check out my past reviews of the pregnancy box from Ecocentric Mom!